Hong holds a degree in Commerce from RMIT University Vietnam. Despite her major, Hong has a strong passion for teaching so she studied for a TESOL (Teaching English to Speakers of Other Languages) certificate from Westcliff University. 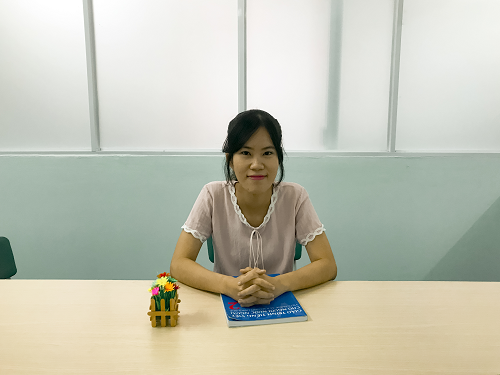 She taught English to Vietnamese students for a short time before making a career change into teaching Vietnamese for foreigners. She works full time at learn Vietnamese from March 2017. Hong's students describe her as an energetic and fun teacher, "someone who won't let you rest for even one minute". So be prepared that you have to work hard in her class!